1. TASS: More than half of Russians support gender equality, poll says. 2. Moscow Times: Russia Drops Further in World Happiness Index – UN. 4. RFE/RL: Putin Tells Prosecutors To Protect Rights Of Business Owners. 6. Moskovsky Komsomolets: Mikhail Rostovskiy, End of Putin era: How this will be. Guide to future regime change in Russia. 7. Vedomosti: Daily says Russian society ‘remarkably calm’ compared to Westerners. (Maxim Trudolyubov) . 8. 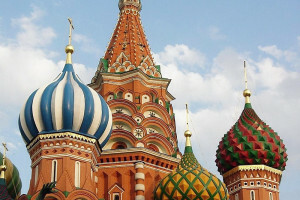 Moscow Times: Evan Gershkovich, Can Urban Renewal Plug Russia’s Brain Drain? City planners have transformed town squares, main thoroughfares and river embankments. 9. Interfax: State Duma not going to reinstate daylight saving time. 10. Bloomberg: Russia Ditches Real Income Data That Has Slumped for Five Years. 11. Moscow Times: Putin Kicks Off Massive New Gas Field in Russia’s Arctic. 12. TASS: Russia’s top diplomat urges West to resume joint arms control efforts. 13. Defense One: Matthew Costlow, Russia Is Turning Up Its Nuclear Rhetoric. That’s a Problem.U.S. and NATO officials have an interest in steering Russian bluster away from its rising focus on nuclear weapons. 14. TASS: Putin: Western sanctions against Russians mean they’re doing a good job. 15. The Independent (UK): Vladislav Inozemtsev, Is Russia’s imperial dream really over? The differences and similarities between the imperial histories of Russia and the west can help to explain how the world powers have ended up where they are today. 16. Washington Post editorial: The brutal leader of Chechnya goes after another monitor of his torture and abuse. 17. Washington Post: Anna Ohanyan, At long last, peace might be possible between Armenia and Azerbaijan. Here’s what’s needed. One-shot peace deals tend to dissolve. A regional approach may help. 18. Eurasianet.org: Kazakhstan’s leader resigns after almost 30 years in power. Nursultan Nazarbayev made it clear he will continue to play a role determining the future of the nation. 20. TASS: Media: Kazakhstan’s President Nazarbayev steps down after 30 years in power. 21. Eurasianet.org: Kazakhstan: The man who will be president. Tokayev is a familiar face liked both by the outgoing president and the international community. 22. Valdai Discussion Club: Oleg Barabanov, Russia and Nazarbayev’s Legacy: An Optimal Model of Relations in the Post-Soviet Space. 23. Bloomberg; Leonid Bershidsky, Kazakh Strongman Shows Putin a Path for Staying in Power. Nazarbayev is stepping down but will keep control of key governing institutions. The Russian leader could follow his example. 24. Vesti.ru: Putin Shows His Dedication to Crimea, Brings All of Civil Society Together for the Project. 25. Foreign Affairs: Elise Giuliano, Is the Risk of Ethnic Conflict Growing in Ukraine? New Laws Could Create Dangerous Divisions. 26. Intellinews.com: Graham Stack, Law enforcement agencies take sides as election tensions rise in Ukraine. 27. www.rosalux.de: An Election for the Oligarchs. Volodymyr Ishchenko on hopes and prospects for Ukraine’s political future. 28. www.rt.com: Washington Capitals prepare for White House visit…but will Ovechkin quiz Trump on Russia? 29. New York Times: Trump Administration Proposes $86 Billion Spy Budget to Take On Russia and China. 31. CBSNews.com: Robert Mueller becomes folk hero for Democrats amid Russia investigation.